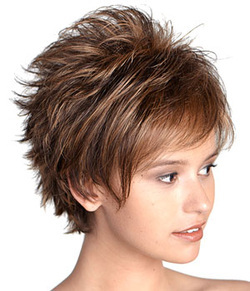 At Kim's Wig Botik in Denver, CO, we carry the largest variety of synthetic wigs and hairpieces in the Denver area. We not only carry a large variety of brands, but if we do not have the exact style or color in stock, we will either order it for you or have a custom wig made to meet your needs. While there are many things to consider when choosing a wig, synthetic options offer an ease of styling that many women find appealing. The style is pressed into the wig, whether it a curl or a wave, and the piece will retain the style after washing and drying. While a synthetic piece cannot be heat styled, they will hold the style they were made with. We carry various brands and styles of synthetic wigs. If we don't have the exact brand in stock, we can special order the wig or customize a different wig for you. At Kim's Wig Botik, we pride ourselves on having one of the largest selections of colors, styles, and lengths available. Not only do we carry lengths for every budget and taste, but we continually update our inventory with fashionable and natural looking colors. With our inventory constantly being updated to bring in the latest trends in styles, we are confident we can have you looking your best. There are several different types of wig caps out there that make a wig higher quality and more expensive, or lower quality and more affordable. The difference is often in the construction of the cap. Come on in and see the difference between a monofilament lace front wig and a machine made wefted wig. We are happy to share our knowledge and help you discover the best feeling and fitting wig for your lifestyle.